FRESNO, Calif. (KFSN) -- A celebration of educators happened Friday night in Downtown Fresno. 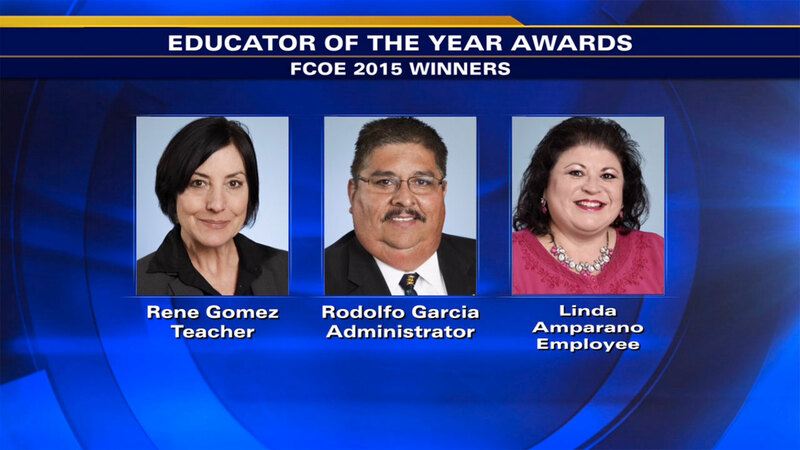 The 2015 Educator of the Year Awards took place at the Saroyan Theater and it was hosted by the Fresno County Office of Education, the Educational Employees Credit Union, and ABC30. Action News anchors Graciela Moreno and Warren Armstrong served as MC's. West Fresno Elementary second grade teacher, Renee Gomez, won Teacher of the Year honors. The executive director and principal of Edison Bethune Charter Academy, Rodolfo Garcia, is the administrator of the year. And Linda Amparano, a student relations liaison at Pinedale Elementary School won Employee of the Year. Congratulations to all the winners, finalists, and nominees.